Yes! 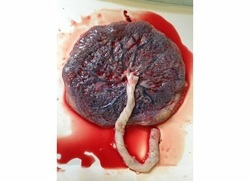 You can encapsulate your placenta with delayed cord clamping. It does not affect the quality of your placenta capsules, but it does have major benefits to the baby. IPEN has much information on the topic. About 5-60 minutes after the baby is born, the cord will stop pulsing, telling you that the baby's blood is all back in the baby, providing them with all the rich nutrients in the cord blood. Sign up by clicking here. You will be sent an invoice for your deposit to the email address you supply. Questions about pricing? Click here. Check out FAQs for commonly asked questions.